Work is continuing and on schedule for the new Community Health Centre being built in Crystal Street including preparing the site to receive the modular buildings in the New Year. 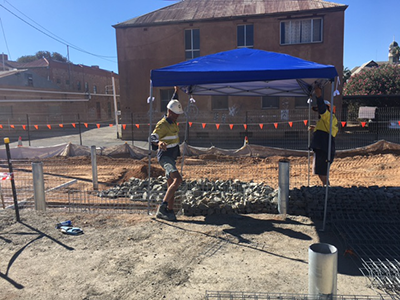 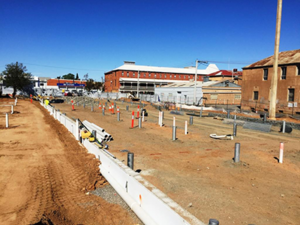 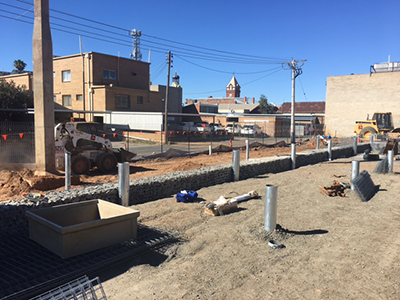 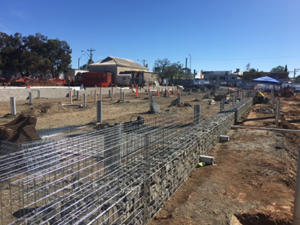 As the major part of the $30 million Broken Hill Health Service Redevelopment, the Crystal Street site has undergone an extensive civil works package which has seen 650 tons of excess material removed from the site. 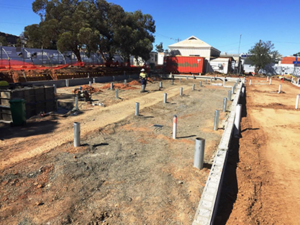 Work to date has included preparation of the project’s foundations, which were designed as large diameter screw piles which were founded on a large rock shelf. All in ground services have been installed and inspected in time for the landing of the first modules where they will be connected. The building is a modular construction, with the modules being made in Toowoomba, Queensland. 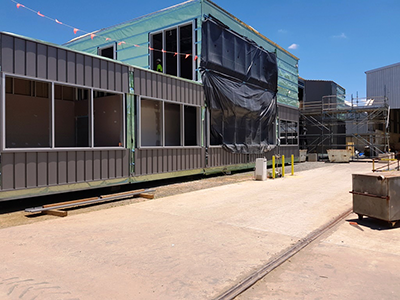 They will be transported in trucks to the site and put together, with the first modules expected to arrive early in the New Year. The wall cladding in each module is currently underway, glazing installed and joinery fit taking place. 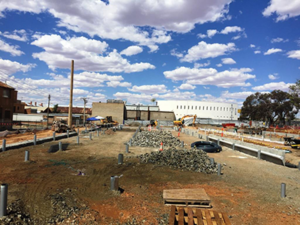 “We are very pleased with progress so far and are looking forward to when the modules arrive and the community can start to see the new building take shape literally before their eyes,” said Mr Ken Barnett, Broken Hill Health Service General Manager. 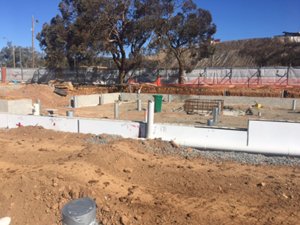 Each module when delivered to the site will be put in place using a 100t crane. Once landed, the module chassis will be bolted together and to the top of the screw piles. 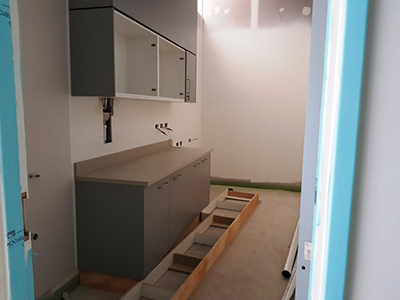 After all the modules are landed work will begin for the internal fit of works and patching. 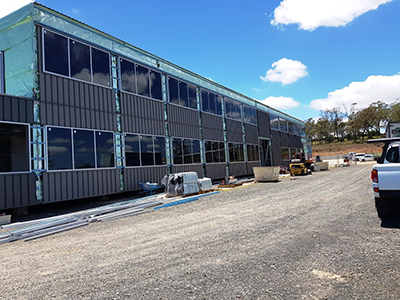 “Once all the buildings are on site, the manpower will rise significantly with about 70 workers onsite at any given time,” said Mr Barnett. 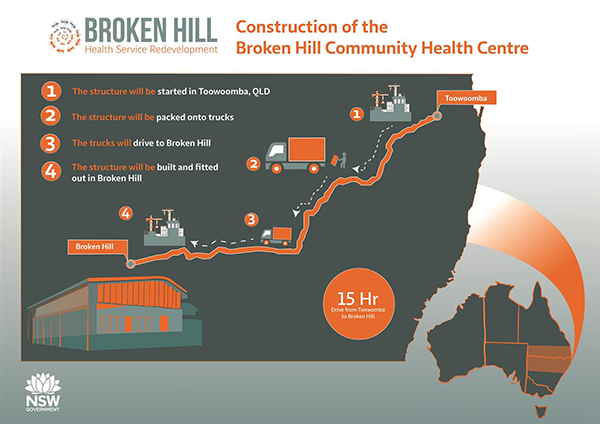 Completion of the new Community Health Centre is expected in mid-2018.